I don't know why I didn't buy these sooner. I was about ready to sell our Saanen because trimming her thick hoovers had become such a bear. 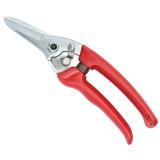 These allowed my small hands to quickly trim all four hooves. Quick is key for her because she has weak pasterns and can't do without one food for more than a minute or so. So thankful to have found these! We have been trimming our goat's hooves with rose cutters, because they are small enough to be comfortable to handle, but they leave something to be desired in the sharpness area. We finally bit the bullet and bought the above trimmers - WOW! What a difference! 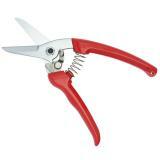 Very sweet to use, manageable size and very sharp, with a secure grip. We will likely be investing in another pair soon. Well worth the cost! Best ever used, well worth the buy. I have to say, I have finally found a good pair of trimmers. The ARS 140 DXR Serrated Trimmer are just a dream to use. 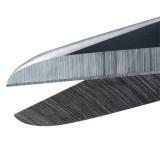 So smooth cutting, no sliding around on the hoof when trying to trim. More than twice the price I have paid for others, but so worth it. Why did I not find these before now. Well worth the price. I have spent lots of money on the $15. to $18 trimmers and each time I was ready use them I would go out and buy a new pair and they wouldn't work right either. I have probably spend over $150 on useless trimmers. So glad to have these now. Thank you! These clippers are awesome. 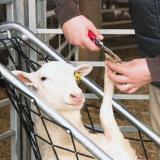 I had spent good money on a handful of nail trimmers for my goats and they all broke within the first couple of uses. I finally found some that really work! Thank you! They are so sharp and very well made... not the cheap ones bought at the big farm stores. 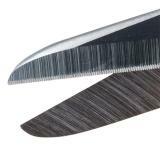 Love these trimmers and would highly recommend them!